So why are bees important? Bees have been busy producing honey and saving the planet for the last 10-20 Million years. Around 250,000 species of flowering plants, many of these crucial to our food supply, depend on bees for pollination; for example, 70 of the top 100 human food crops rely on bees for pollination – as does clover and other fodder that we use to feed our live stock which produce the meat we eat and the milk we drink. As areas of Britain become more urban and industrialised, low maintenance gardens are becoming more prevalent and farmers now grow single crops in large fields. There are fewer places with the variety of hedgerows and wild flower meadows that used to exist for bees to feed on and shelter in. Something that Britain had once in abundance in the 1930’s is now largely missing. Because of the loss of these flower rich grasslands, amongst other reasons, more than 20 UK bee species are now extinct – and others are on the decline and under threat. Another reason for the disappearance of bees is due to the pesticides that we are using in gardens and crops. Scientists believe bees are dying because of our unilateral use of these pesticides. What can we do to save our bees? Grow a variety of flowering plants to create vital nectar and food for bees, Flora such as Alliums, Primrose, Thyme, Honeysuckle, Foxglove, Buddleia, Heather and Lavender. Plants also provide shelter for the bees too – and if you haven’t got much space, a planter or window box would work just as well. Bug guns and insect killers are harmful to bees too, so avoid using pesticides to keep our bees alive. And remember, just because a product is labelled safe for organic use doesn‘t mean it won’t harm bees! A better gardening strategy is prevention rather than cure. Invite beneficial insects into your garden with your planting, rotate “crops”, plant companion plants – and keep your garden tidy! If you see a bee on the ground it may be exhausted, so they probably need a sugar rush to help them get back in the air. Mix two tablespoons of white granulated sugar and one tablespoon of water together and put in an egg cup for them to drink from. What are the government doing to save bees? Since 2013 when the UK government opposed a ban on bee harming pesticides, Michael Gove (Secretary of State for Environment, Food and Rural Affairs) said he was deeply concerned by a recent study. Risking extensive and permanent effects on bee populations is a risk he is not prepared to take. 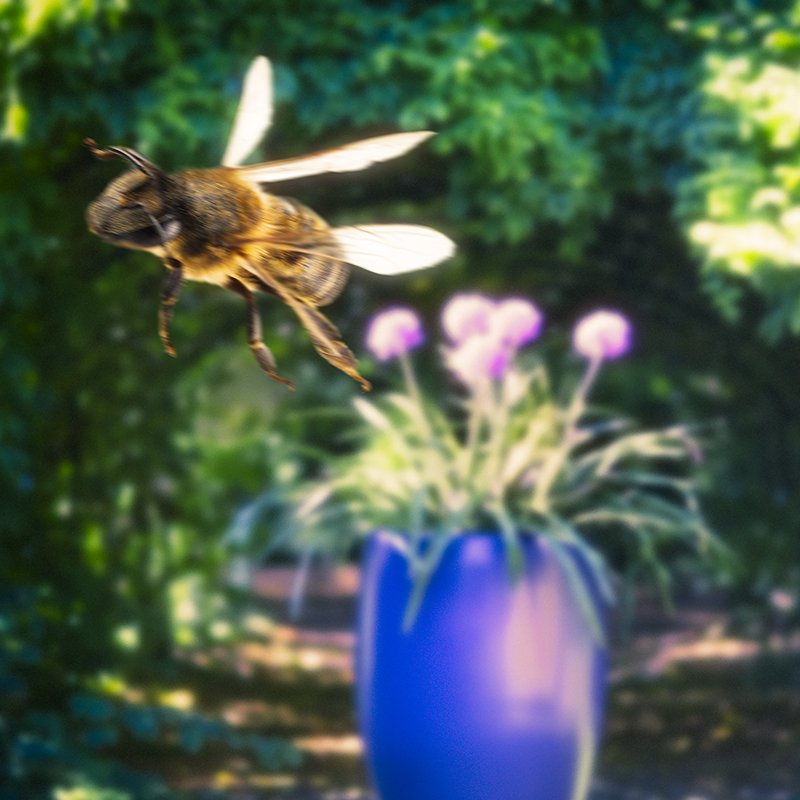 He has therefore subsequently agreed there is new evidence which indicates neonicotinoid pesticides are a greater risk to bees and other insects than was previously understood. Mr Gove believes that bees and other pollinators are ‘absolutely critical’ to the natural world and said the UK would back a new proposal by the European Commission to ban neonicotinoids for use on flowering crops and would also extend the ban to non-flowering crops.